Copyright 2012, NewsBank. All Rights Reserved. CHICAGO — The humble burger still reigns as an iconic American food, but a growing number of foodies are searching for something a little more special: sandwiches made with fresh Angus beef, a better-quality roll and such toppings as aged cheddar or homemade pickles. The “better-burger” segment has become one of the restaurant industry’s best performers in recent years, due in part to unprecedented growth by Five Guys Burgers and Fries, known for its hand-formed burgers, fresh-cut fries and unlimited free toppings, which has a store in Dickson City, Lackawanna County. More recently, a number of upstarts have elbowed in at the table, adding turkey or veggie patties and myriad toppings such as tzatziki (a yogurt-cucumber sauce), dill pickle chips, goat cheese or brie. Some also offer salads and beer. The better-burger segment remains a tiny portion of the restaurant industry, with estimated sales of $2.2 billion in 2011, but it grew 21 percent from the prior year, according to a recent report by Technomic, a Chicago-based research firm. That compares with sales growth in 2011 of 3.2 percent for all fast-food and fast-casual restaurants that focus on burgers. Technomic defines better-burger restaurants as establishments that use fresh meat and make sandwiches to order. That means consumers will have to wait up to 10 minutes or more for a better burger. They also can expect to pay more — as much as $10 for a meal. McDonald’s continues to dominate the fast-food burger business, posting nine straight years of worldwide same-store sales gains. In recent years, the chain has expanded its menu and kept sales growing. Salads, smoothies and coffee drinks have helped win back women, but Darren Tristano, executive vice president of Technomic, said serious burger lovers got bored along the way. 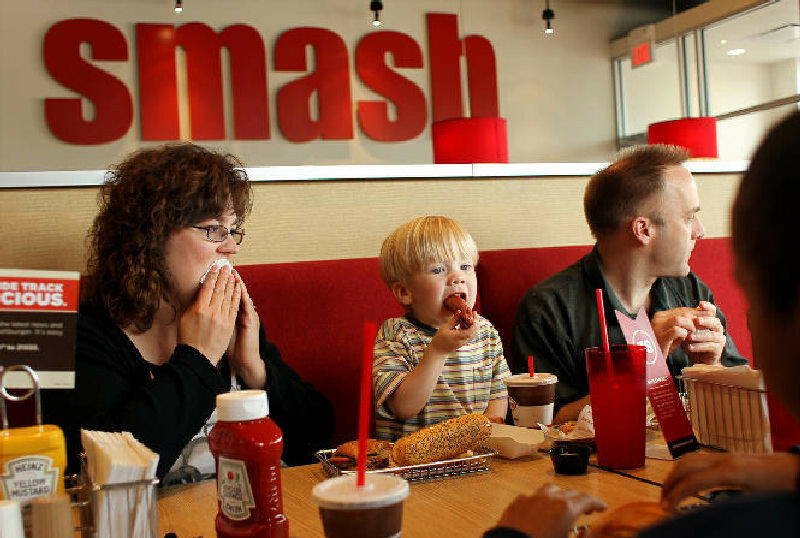 Smashburger founder Tom Ryan said he began thinking about better burgers a decade ago while conducting research for McDonald’s as the company’s worldwide chief concept officer. This entry was posted on Tuesday, July 17th, 2012 at 9:03 am and is filed under Burger, Economy, Financial Activity, Flavor, Food, Growth, Ingredient, Menu Trends. You can follow any responses to this entry through the RSS 2.0 feed. You can leave a response, or trackback from your own site.